… to solve an expensive problem. It’s true: solving just one expensive problem is all you need to build a successful business. But don’t take my word for it. Just ask Eric Hinson, founder of explainify.com. Among other interesting insights, in his book ‘Diamond in a Haystack,’ Eric writes about his company and an expensive problem which they are trying to solve on a daily basis. That problem? The inability of so many companies to simply explain what they do and why others should care. I recently had the pleasure of exchanging a few words with Eric, and he graciously agreed to do a quick interview for sneezr.ca focused around a single question. Jenan: Every business and organization depends on stories with impact. 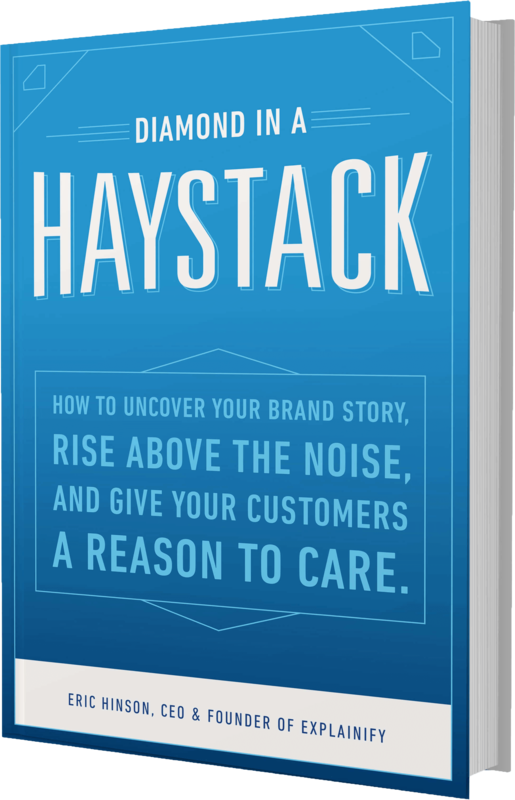 In your book titled ‘Diamond in a Haystack,’ you offer folks practical tips on how to craft on stories with impact. Can you suggest some simple ways for entrepreneurs to poke holes in the design of their storytelling efforts in an attempt to make them more impactful? Success boils down to how well you can assist them in meeting their objective. Finding out what this objective is and then conveying it in a way that speaks clearly to their need or pain will convince your audience that you have the solution that they are looking for—it’s then a matter of telling them the results you can provide. Which leads me to my next point. Sell results, not features. Your story isn’t told with the facts and figures of your products/services, rather telling them what they can expect to achieve with your product. Jenan: Thank you, Eric, and all the best until next time! p.s. You can get the first 2 chapters of ‘Diamond in a Haystack’ for free: go.explainify.com/book.